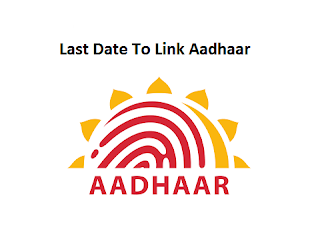 In this blog will discuss the importance of Aadhaar linking and also the last date to link Aadhaar Card to avail Government schemes. If any Indian citizen wants to avail for any of the Central or State government schemes it is mandatory to link Aadhaar card with the respective scheme. Aadhaar is a Government of India initiative, is a Unique Identification Number which is issued to all the Indian residents based on their demographic and biometric data. Aadhaar card is also recognized as the proof of residence but not as proof of citizenship. Benefit: By linking the Aadhaar card with the Bank Account, people will receive benefits from both central and state government’s welfare schemes, if qualified. Some of the government schemes are pensions, welfare funds and scholarships etc., all of which are directly credited to your bank account. Last date to link Aadhaar card with Bank Account is 31st March 2016. Benefit: It will help the Indian government to eradicate corruption and to identify the fraud/fake PAN card numbers. It can also help the government in identifying tax evaders and to reduce the possibility of black money circulation. Last date to link Aadhaar card with Voter ID Card is 31st March 2016. Last date to link Aadhaar card with LPG Connection Card is 31st March 2016. Last date to link Aadhaar card with Ration Card is 31st March 2016. Benefit: By linking Aadhaar card will help an individual to establish his/her identity and also to avail government social security schemes. It can also aid financial matters like keeping bank accounts active and filing tax returns. Last date to link Aadhaar card with Mobile Number is 31st March 2016. If you are facing any problem to link Aadhaar Card. Please post your complaint/query/problem/doubt in the below comment box.